Mobster turned government informant, Abe Reles who worked as a hitman for Murder Inc had successfully helped prosecutors convict the likes of Louis Capone (no relation to Al), Harry Strauss, Harry Maione, Martin Goldstein (his lifelong friend) and top dog Lepke Buchalter. They were all sent to the Electric Chair a few years later in 1942 and 1944. 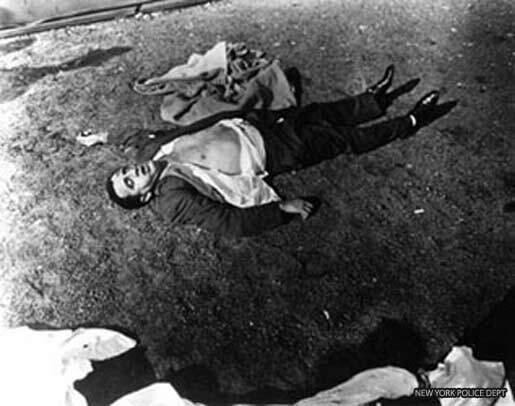 Reles was pushed from a window at the Half-Moon Hotel on Coney Island, With no evidence of who killed him, charges were dropped and it was put down to accidental death. Oh, and he enjoyed killing his victims with an ice pick.